In our practice, you will find a team of caring, experienced physicians and staff dedicated to providing the individualized treatment we know you expect and deserve. All Our Physicians Are Now In One Convenient Location! Dr. Lieb, Dr. Flanagan and Dr. Muse have moved from Suite 412 to Suite 602 in Olympic Plaza. Tyler OBGYN will no longer use Suite 412. 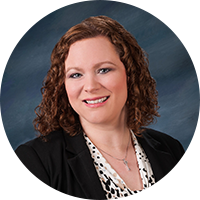 Tyler Obstetrics & Gynecology, LLP is pleased to announce that Jessica Charest, M.D., FACOG has joined our practice and is accepting appointments for new patients. At Tyler OB/GYN, we accept many healthcare insurance plans including WebTPA plans for Tyler ISD. Learn about the physicians at Tyler OB/GYN and see why we strive to be the most professional and compassionate clinic in East Texas. Are you a new patient to Tyler OB/GYN? Click Learn More for information on getting started with us. If you haven’t made an appointment with us yet, please click Request Appointment. Find all of the important forms you’ll need as a patient of Tyler OB/GYN. Dr. Medel and her staff are great! Dr. Medel is nothing short of amazing, she's been absolutely perfect through our pregnancy and I couldn't be more thankful. Dr. Lieb exceeded my expectations when delivering my first baby and then all over again when she delivered my second child. She is very knowledgeable and friendly. Dr. Flanagan has delivered 4 of my babies and has always gone out of his way to make sure I had the best care. He has great bedside manner. I wouldn't trade him for anybody else! I've been going to Dr. Muse for a few years now. He is a good doctor, a nice man and knows what he's doing. Hope he doesn't retire anytime soon!